Hooked on Needles: Three Crocheted Flowers - Quick, Easy and Cute! Didn't you just love that darling little periwinkle crocheted hat and scarf set that my mother made? You can see it HERE. 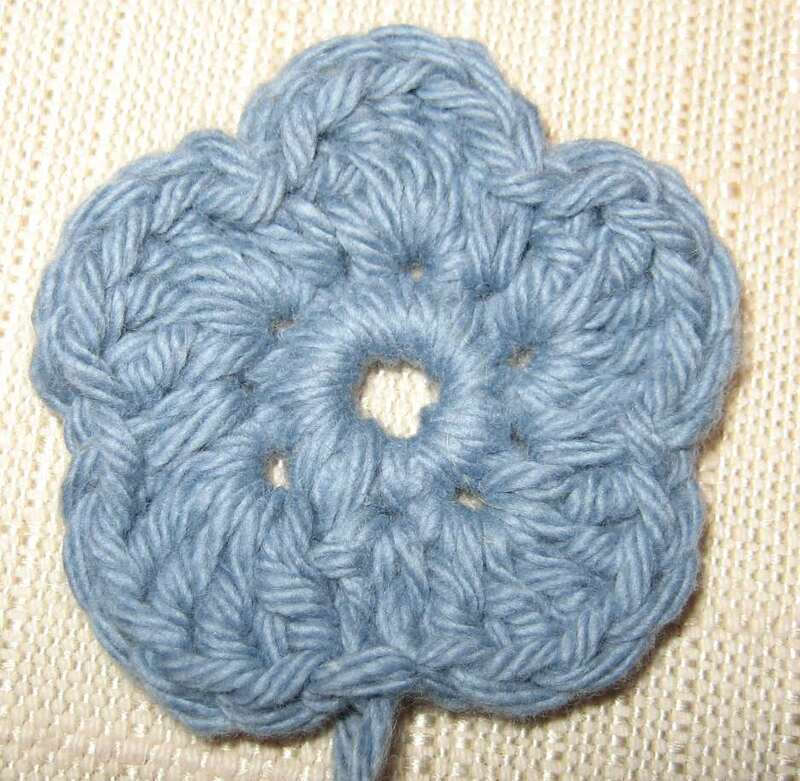 As I mentioned last time, the flower pattern was not included in the hat pattern, so Mom asked if I could come up with a flower pattern for her to use. 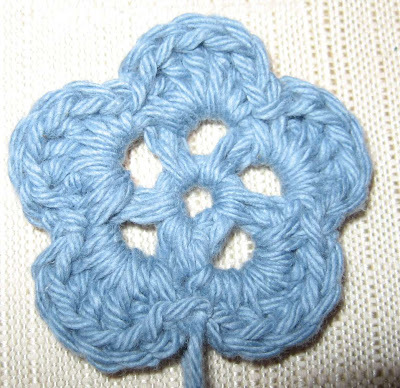 If you need to brush up on your basic crochet skills, you may find some of my videos helpful. You can find them HERE for each stitch in these patterns. 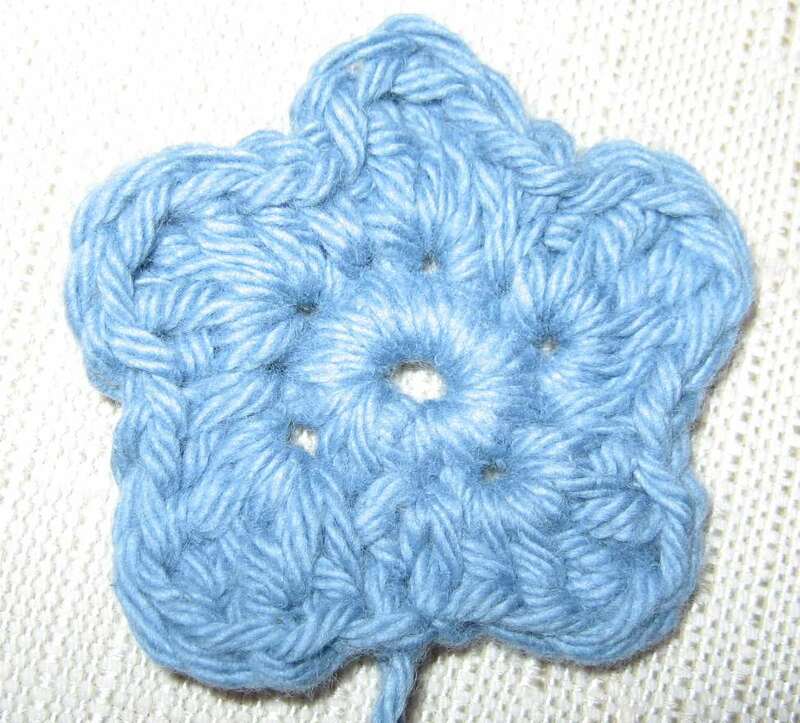 So there they are, ready and waiting for you to crochet into cute little embellishments for your own crocheted or knitted items. I'd love to see what you do with them! How neat. 3 for 1. Very cute. Thanks Mary Grace! I received my swap package and thanks so much for all the goodies!! The tote bag is gorgeous, I'll use it when we got to Forida Nov 26. You managed to find "Frillies" that I don't usually buy for myself..thanks again I was pleasantly surprised..Happy Thanksgiving.. 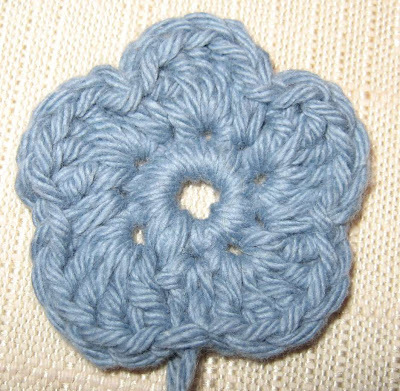 I made one of these flowers as a book mark for my 5-year-old niece. 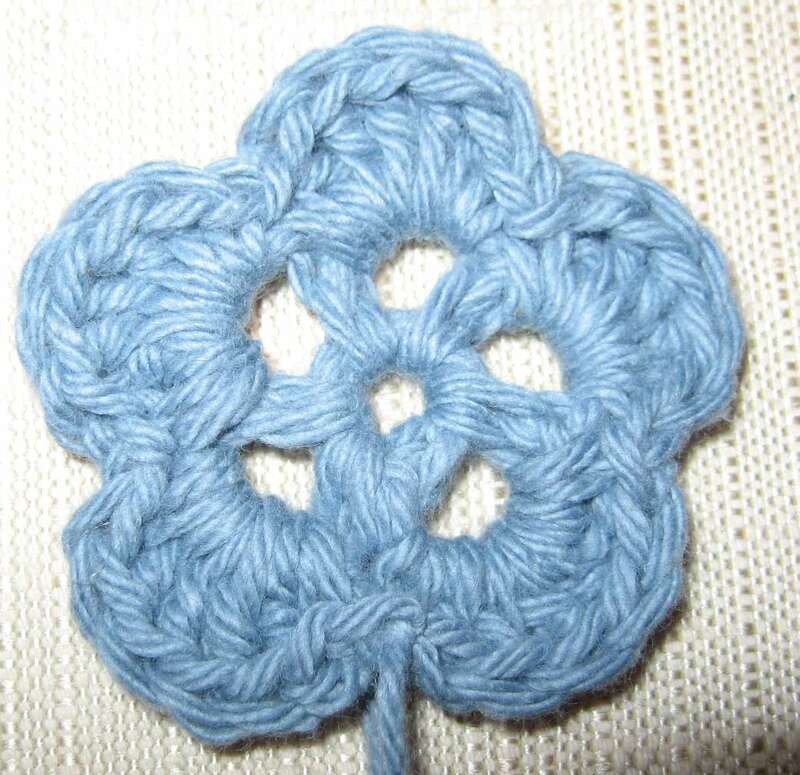 I then added a button for the middle of the flower, along with a "bee" button that I sewed on. It turned out so cute!